Double British Champions, Smiths Racing Team, will return to the Isle of Man TT Races fuelled by Monster Energy this season with Dave Johnson spearheading their effort on both BMW and Triumph machinery whilst Guy Martin will join the Gloucester-based team for the two Supersport races on the Smiths 675cc Triumph Daytona. Having sensationally won on their TT debut in 2014, taking the opening Supersport victory with Gary Johnson, it's his Australian namesake that has been chosen to contest the main solo races for Smiths Racing Team. 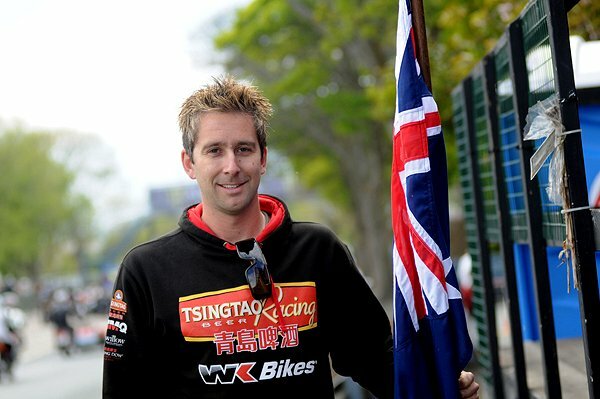 The 31-year-old from Adelaide, who made his TT debut in 2010 and last year achieved his best result of fourth place in the Superstock race and also recording a best lap at over 125.5mph will ride a Smiths BMW in the Superbike, Senior and Superstock races as well as the Smiths 675cc Triumph Daytona in the two, four-lap Monster Energy Supersport races. 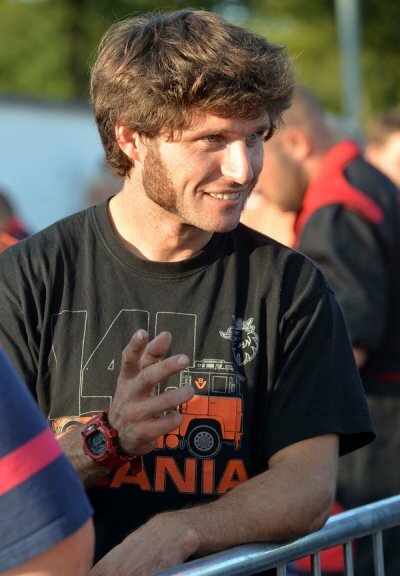 There he'll be joined by the charismatic 33-year-old Guy Martin who has enjoyed an illustrious TT career to date and will ride a British-built bike in competition around the 37.75 mile course for the first time. With his current profile as a TV celebrity and seeking his first win, if he doesn't manage it in the opening Superbike or Superstock TTs, Monday's opening Supersport race could be his big chance, especially with Smiths desperately wanting to defend their hard earned title. The ambitious team, run by father and daughter duo Alan and Rebecca Smith, forms a part of the Gloucester-based firm which has enjoyed major success in recent years, including winning the 2012 and 2014 British Supersport Championships with Aussies Glen Richards and Billy McConnell respectively. They are one of the region's largest and most respected construction services and waste management companies and their team has been at the forefront of the British Supersport Championship since they first contested it in 2010. 2015 sees them expand into the MCE Insurance British Superbike Championship with Billy McConnell aboard a factory-supported BMW whilst they will challenge for the Motorpoint British Supersport Championship once again with Graeme Gowland and Jake Dixon starting as two of the favourites. "I'm so happy that Rebecca and Alan Smith have chosen me to ride for them at TT2015. This will be my fifth visit to the TT and after a decent year last year on the Island, I feel it's my time to be on machinery which is capable of being at the sharp end in every race. The Smith family and the whole team are all close friends of mine and have the expertise, skills and resources to build extremely competitive bikes so I think we have the complete package. I'm also happy to have a team mate like Guy Martin for the Supersport TTs. I'm sure we'll work really well together. I'm so grateful for this opportunity and I will do everything I can to get the best out of myself and to get the best results I possibly can for the whole Smiths team." "I wanted the best tool for the job in the Supersport TTs so I rang Rebecca and we ended up doing a deal. I reckon the Triumph is the bike to be on and I remember Gary Johnson passing me on the Sulby Straight on the Smiths Triumph last year. Alan and Rebecca are proper people who run a fantastic team and to win on their debut last year says a lot about them. I'm planning a few jobs with the Triumph after the TT also so I'm looking forward to getting the job sorted." "We have built up a rapport with Dave over the last couple of years and he was an obvious choice for us for our TT campaign. I am confident that Dave will, with the help of our team, build on his strong performance at the TT last year and have greater success in 2015. We have taken the decision to expand both our BSB and road racing efforts given our successes in 2014. As a team, we are looking forward to the new challenges that lie ahead of us. Guy has come as a somewhat late addition to our team but we are relishing the chance to work with him. We are confident that our development work over the winter on the Triumph will pay dividends at the TT and hope that Guy achieves the success that he deserves." With the Superbike Race and Sure Sidecar Race 1 on Saturday 6th June. With Wednesday 10th June hosting the Sure Sidecar Race 2, Monster Energy Supersport Race 2 and SES TT Zero. Friday 12th June sees the Bike Nation Lightweight and PokerStars Senior TT Race to round off the two weeks of action.